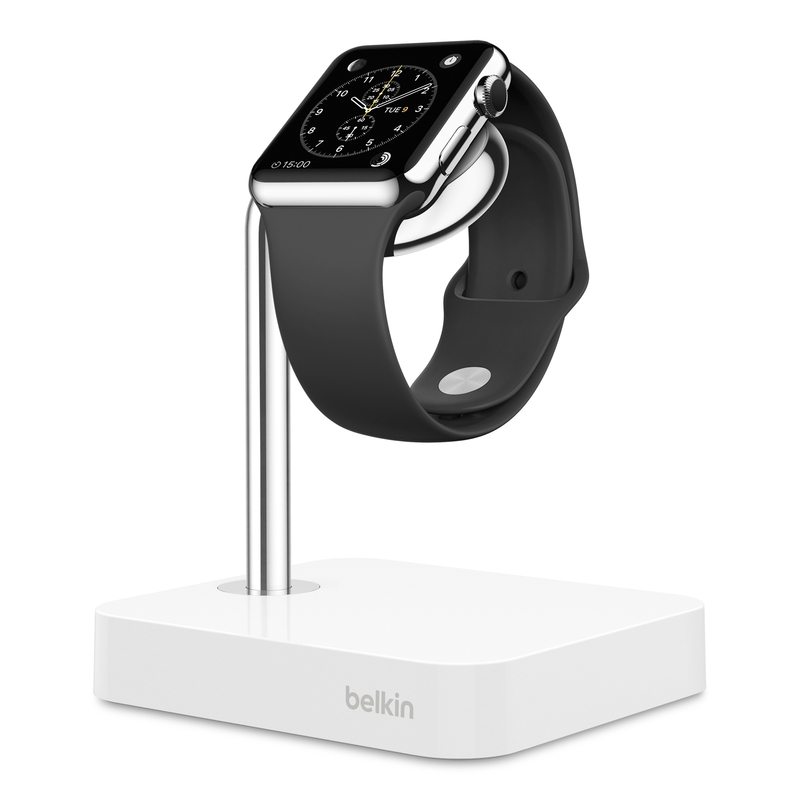 Las Vegas, Nev. – January 5, 2016 - Belkin® today launched the Watch Valet™ Charge Dock, a charging solution designed for the Apple Watch. The Watch Valet Charge Dock features the same inductive charging technology that is embedded in the Apple Watch. This means users can simply place their Apple watch on the magnetic charger without the hassle of routing a charging cable through the dock. The Watch Valet Charge Dock will be displayed at CES 2016 Belkin International booth, South Hall 30445, from January 6-9, 2016, in Las Vegas, Nevada. 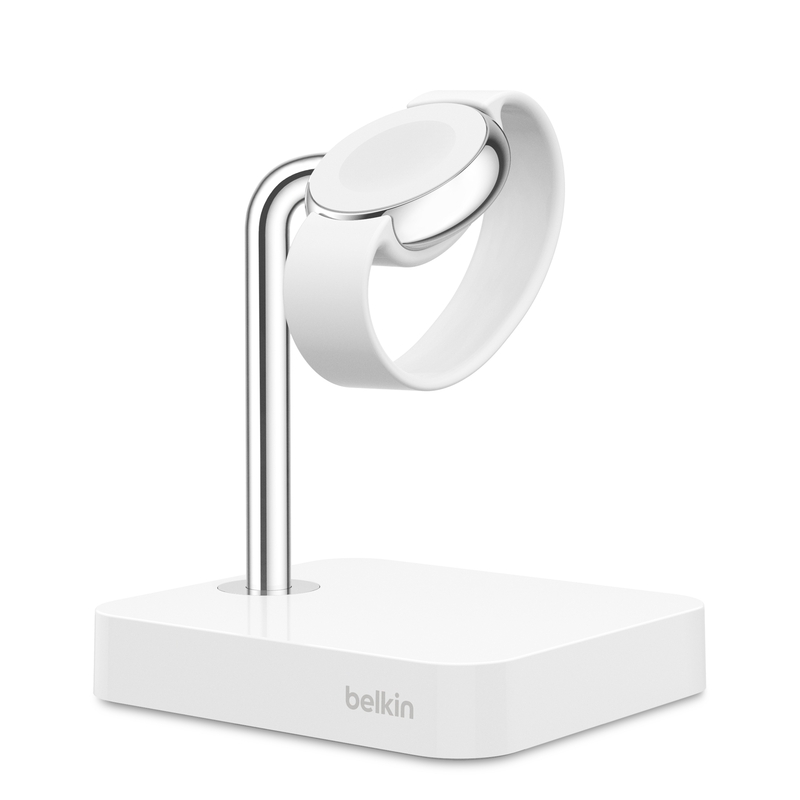 "Following the success of the first Belkin integrated charging solution with support for the iPhone and Apple Watch, the Belkin Valet Charge Dock for iPhone and Apple Watch, we are excited to offer a second charging solution that also provides a seamless charging experience for Apple Watch users, Watch Valet™," said Melody Tecson, Director of Product Management at Belkin. "The new Watch Valet™ Charge Dock is the perfect accessory for customers who are looking for a standalone solution for their Apple Watch." Elegantly designed, the chrome finished metal arm on the Watch Valet securely holds the Apple Watch at a perfect angle for visibility and easy access, while the weighted base adds stability when the watch is docked. It also includes an optional watch band support that can effortlessly be attached to hold flexible watch bands like Steel Mesh and Link bracelets. Its sleek finish complements the Apple Watch, and its compact size effortlessly blends in on any desk or bedside table. The new Watch Valet™ Charge Dock for Apple Watch (F8J191) is available now for an MSRP of $89.99 on Belkin.com, and select retail stores. Also, available on belkin.com is the Valet™ Charge Dock for Apple Watch + iPhone (F8J183) for an MSRP of $129.99. At Belkin, we make people-inspired products that harness the power of technology to connect people and the experiences they love. Our award-winning product lines include QODE keyboards, mobile accessories for laptops, smartphones and tablets, Wi-Fi networking solutions, and broad range of cable and power products. Our product offerings are designed to create a personal, efficient and enjoyable experience for people to use technology, whether they are at home, school, work or on the go. © 2015 Belkin International, Inc. and/or its affiliates. All rights reserved. Belkin and many product names and logos are trademarks of the Belkin International. Third-party trademarks mentioned are the property of their respective owners.